Download the 11 song record as 320 kbps mp3 format – comes with cover art in a zip file. Download link is automatically emailed to you after purchase. 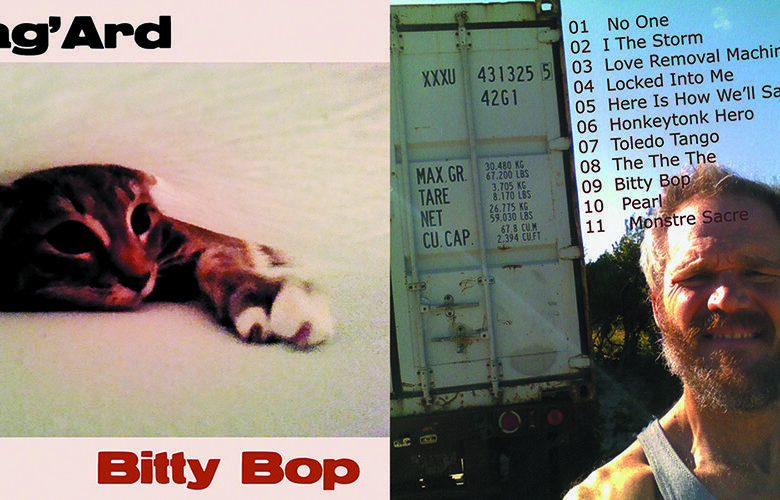 Blag’Ard “Bitty Bop” is currently only available as a download, there are plans to make CD’s fall of 2018. Words and music performed and written by Joe Taylor except “Love Removal Machine” written by Ian Astbury and Billy Duffy. Recorded, mixed and mastered by JT. Cat pic photo: Kelly Price.